Located in the heritage city of Jaisalmer, the Welcomheritage Mandir Mahal hotel stands testifying the majestic regal charm of by gone era. The monument is a two centuries old palace that was converted into a heritage hotel without altering the medieval feel and appeal of the site. The palace was built during the reign of late Maharawal Jawahir Singh and therefore bores all the magnificent traits; be it intricately carved walls, yellow stone interiors or imposingly grandiose pillars. 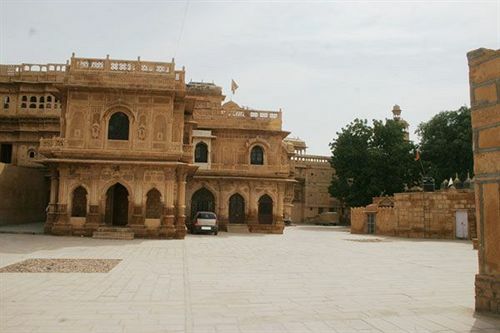 Over looking the entire city of Jaisalmer; the monument provides unrivaled view of the fort and surrounding structures. This architectural marvel of a hotel offers three luxurious accommodation options in the form of Deluxe rooms, Golden suites and Surya Mahal Suite. All these suites are adorned with ornate craftsmanship and carvings and fitted with modern day amenities to ensure a comfortable stay for the guests. 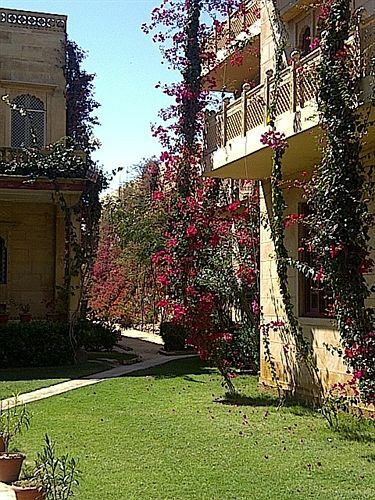 In addition to this, the hotel has long list of facilities such as room service, organized safaris, swimming pool, wi-fi high speed internet access, car parking, doctor on call service, travel help desk, badminton court, laundry services and an in house museum with heritage artifacts and weapons. The hotel also boasts of a well equipped conference hall that has seating capacity of 30-40 people which is deal to hold corporate conferences and other events. Mandir Palace Heritage Hotel also boasts of some of the finest restaurants that serve authentic cuisines from across the globe. Patrons are especially welcome to try the local Rajasthani dishes and delicacies while staying here. 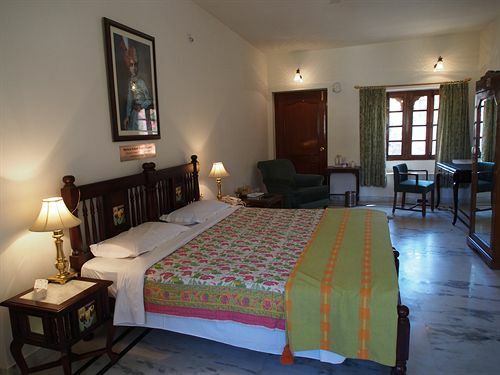 Enjoy truly royal stay, while staying at the Deluxe Rooms available at the Mandir Mahal Hotel. 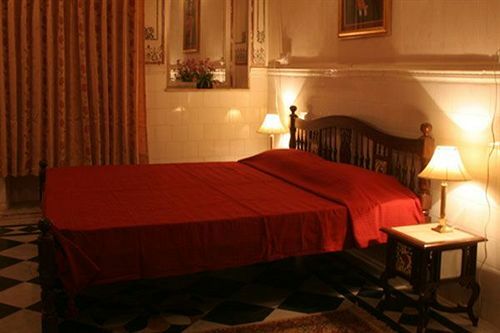 These regal rooms are part of the original palace that till date ozzes medieval charm and beauty through intricately carved walls and pillars. Patrons can choose from the option of having either a large king size bed or two double beds in the room. Despite being a heritage structure, the rooms are furnished with all the necessary amenities such as LCD television with satellite channels, intercom telephone lines with STD and ISD lines available at the reception, wifi high speed internet access, study table, center table, tea coffee maker, air conditioning, sofa unit, geyser in the bathroom and bathroom toiletries. In addition to this warm hospitality and room service has been greatly appreciated by both local and foreign guest. These rooms are available on both single and double occupancy basis. 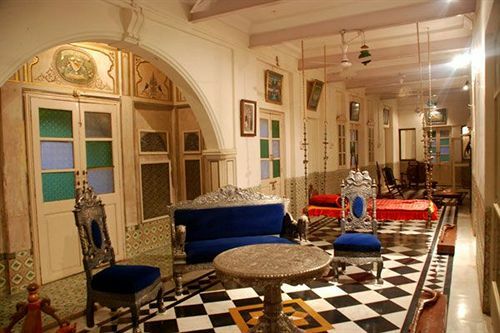 Revel in the heritage of bygone era; live like Kings and Queens when you stay in the Golden Suites at the Mandir Mahal heritage hotel. 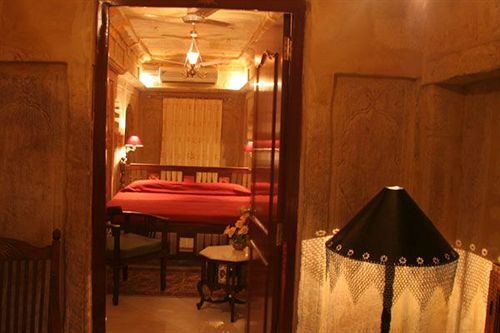 Originally the Golden Suites were built in 1770 and 1850 and they served as private chambers of Maharawal Moolrajji and Maharawal Barisal Singhji respectively. 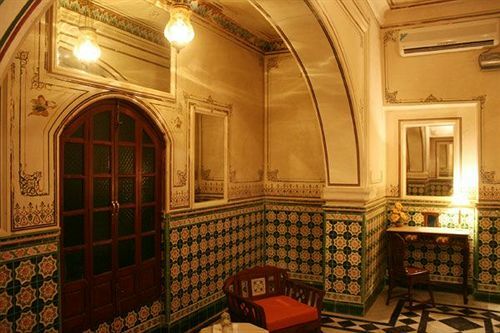 Be it intricately carved walls, yellow stone interiors or ornately designed pillars; every nook and corner of this suite tells thousand tales and fables of olden days. Despite retaining the old world charm, these suites are designed to offer comfort, style and luxury. Therefore they are fitted with best in class amenities such as mini bar, wifi high speed internet access, intercom telephone line, LCD television with premium satellite channels, electronic tea coffee maker, air conditioning, sofa set unit, center table, study table and chair, bathroom furnishing, geyser and many others. 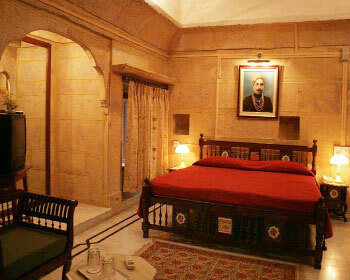 All these facilities coupled with the regal charm of the monument makes staying a very unique experience for patrons. 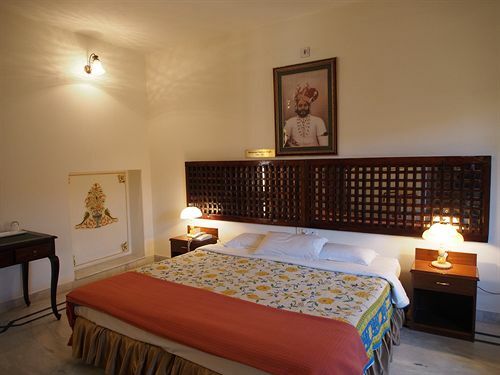 The Surya Mahal Suite is the finest accommodation option available at the Mandir Mahal Heritage Hotel, Jaisalmer. 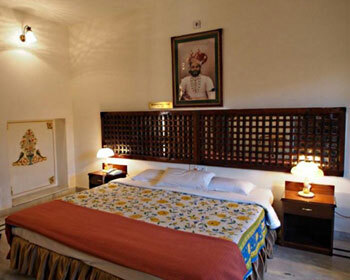 Built in the year 1914, the Surya Mahal Suites served as personal royal chamber to Maharawal Jawahir Singhji. 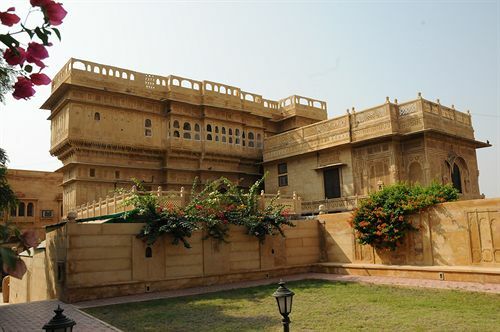 The majestic view which overlooks the entire Jaisalmer fort is the stand out point of these suites making it one of the best staying option while visiting this heritage city. 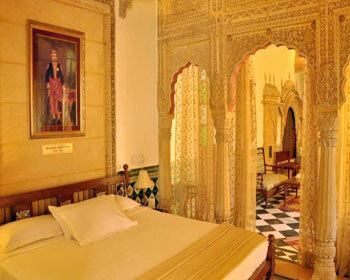 Furthermore, the suite is furnished with intricately carved walls and yellow stone décor that reflects a royal charm. 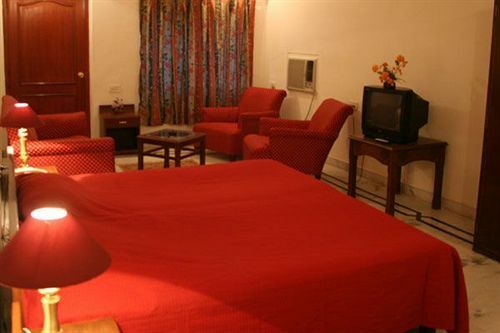 Equipped with modern day amenities such as mini bar, intercom telephone line, LCD television with premium satellite channels, wifi high speed internet access, electronic tea coffee maker, air conditioning, sofa set unit, center table, study table and chair, bathroom furnishing, geyser; the Surya Mahal Suites are sure to ensure a comfortable and luxurious stay for clients. 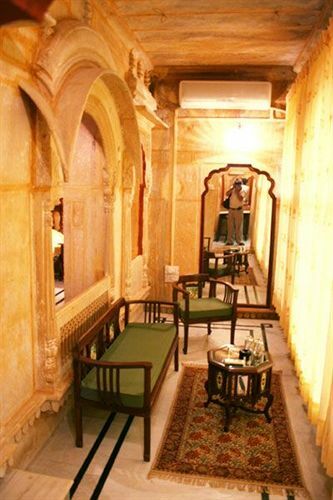 Enjoy your meal in truly regal style, as you dine at one of the finest eateries in the heritage city of Jaisalmer. 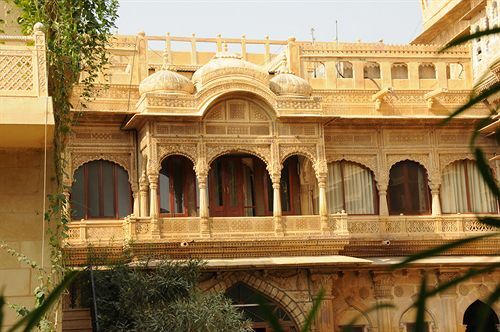 Palace Restaurant is one of the most popular eating places in the heritage city of Jaisalmer. This multi cuisine restaurant specializes in serving Indian, Continental, Chinese and Special Rajasthani Cuisine. Rajasthani cuisine served at the Palace Restaurant is very popular because it is prepared as per traditional recipes using genuine spices that offer unique flavor to the food. The restaurant operates at specific time for Breakfast (7AM to 11AM), Lunch (12PM to 3PM) and Dinner (7PM to 11PM); however snacks and drinks can be ordered through the day. 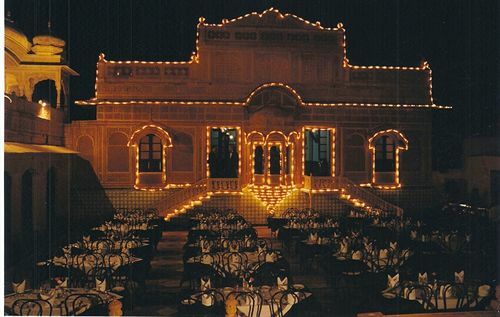 The Exquisite Courtyard is a fine dine venue located in the premises of the four star heritage hotel of Mandir Mahal. The bistro serves authentic multi cuisine food to cater to diverse clientele of the hotel. Specializing in Indian, Continental, Chinese and Special Rajasthani Cuisine; the venue has earned rave reviews for its authentic flavors and warm hospitality. The overall ambience is simply great and this gives patrons a truly royal feeling making dinning here a very unique experience. You can enjoy all three meals here. 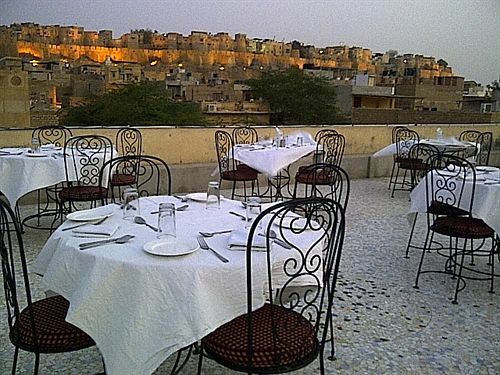 Enjoy the panoramic view of the heritage fort as you dine on some of the finest flavors in Jaisalmer. 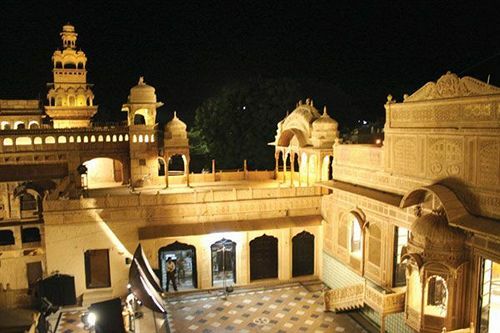 The Rooftop Restaurant at the Mandir Mahal hotel ensures that patrons are treated in true regal style, by offering them unrivaled view of this heritage monument. Apart from the majestic view, another major USP of this eatery is its food, which is prepared using finest spices and ingredients as per traditional recipe that gives it unique flavor. Serving Indian, Continental, Chinese and Special Rajasthani Cuisine; the restaurant has earned name and fame for authentic taste and warm hospitality. The restaurant operates at specific time for Breakfast (7AM to 11AM), Lunch (12PM to 3PM) and Dinner (7PM to 11PM); however snacks and drinks can be ordered through the day.